In just six days time I'll be in Southampton and experiencing Freshers Week the second time round. It's an incredibly exciting time for students all over the country but I'm always the first to admit that it's pretty scary. Living on your own for the first time and being surrounded by strangers all drinking crazy amounts of cheap booze can be really overwhelming... or it was for me this time last year. Like I wrote in a post a few months ago now, I left my first university after six months of trying to make it work. If I was completely honest with myself from the beginning, I probably would have left within a month. I did not enjoy Freshers Week in the slightest. It was simply too much for me. I was missing home, I'm really bad at drinking anyway, and I was unlucky with my housemates. To be honest, I didn't really experience Freshers Week. My university was in an incredibly sleepy city in comparison to London and I didn't enjoy going out there - so I didn't. In hindsight, I should have made more of an effort but I understand why I didn't at the time. But this time next week I'll be experiencing it all over again - and the truth is, I'm so excited. I can't wait to get there, discover Southampton nightlife, and start my amazing English Literature course. I'm lucky really, I've been through this before and know just what to expect. 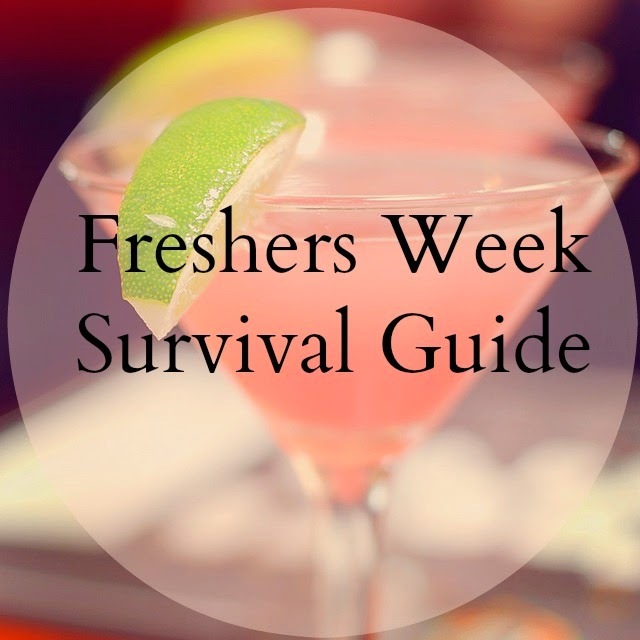 If you're heading to uni within the next couple of weeks, or you're already there, then here are my tried-and-tested methods to surviving Freshers Week. Buy the University Freshers Wristband. Always, there are no excuses. This was a big mistake of mine last year. I was perturbed by the price and was too stubborn to pay up. This year my wristband has cost £95 which is more or less the same price as all British universities. Yes, it's frustrating that you have to pay so much before you even get there but no one wants to be the person waiting outside clubs when everyone is already inside. Plus, my pricey wristband gets me into events over the course of six weeks and gets me discounted drinks too. Everyone knows Freshers Week is expensive - but paying £95 now saves you money in the long term. Again, this was another mistake I made. I was put in a really cliquey flat with people I didn't click with. I tried really hard in the first few weeks to be friends with my housemates and went out with a couple of times. But I found the girls were really bitchy and I simply don't have the patience for that (see here for details). The halls that I was living in were divided into little houses which made it really hard to meet new people. I was confined to the people I was living with. This year I've gone for traditional corridor halls and I absolutely think its the right decision for me. If you simply don't gel with the people you share a flat with, all is not lost. You can wander down the corridor and meet another group of interesting people. Don't give up like I did. If you're unhappy with your accommodation, then do something about it. Get in touch with the accommodation office and investigate moving flats. Living with people you don't get on with is so difficult when you're already in an overwhelming situation. I wish I'd done something about it within my first weeks. Join societies you're interested in. A lot of people seem to join clubs that they think will be most sociable, which is great. But it's so important to be inspired by what you get involved in at university. Or what's the point? Societies are the best way of meeting people with similar interests and socialising with other students who you may not otherwise have met. When you're in a new environment it's great to have friends scattered in different areas. I've already got my eye on the English Literature society (obvs), the charity RAG organisation, and student Radio. Binge drinking is not fun. Spending your night with your head in the toilet does not make you cool, it makes you a Freshers horror story! This was one thing I really struggled with last time. I am simply not a good drinker, I'm a lightweight and have been known to feel the effects of half a bottle of beer. My flatmates pressured me into drinking a lot during those first few weeks. I hated being labelled as 'boring' so I reluctantly joined in. Embarrassingly enough, it ended up with me throwing up in the kitchen sink. After that horrendous night, I know my limits. My plan over the next few weeks is to bring huge bottles of Diet Coke with me and stick to soft drinks while everyone else pre-drinks. After all, so many people chose soft drinks mixed with spirits these days that it's really easy to get away with sobriety for a night. I'm not saying I won't touch alcohol, I'm just going to take it easy. I want to show people that I can be fun without the booze spurring me on. It's okay to be homesick. Most people are during those first few weeks. However, if I could go back in time then I would have stuck it out a bit longer. I went home for my first weekend at uni - mainly because my only friend at that point had a wedding to go to and I was scared of being alone. Who knows? If I'd stayed I would have confronted that fear and maybe enjoyed it better. So many people try and come across like they're handling it really well but everyone is in the same boat here. Take comfort in the fact that every Fresher is probably a bit overwhelmed and homesick too. But it will get easier as you get used to your new environment and get stuck into your course. 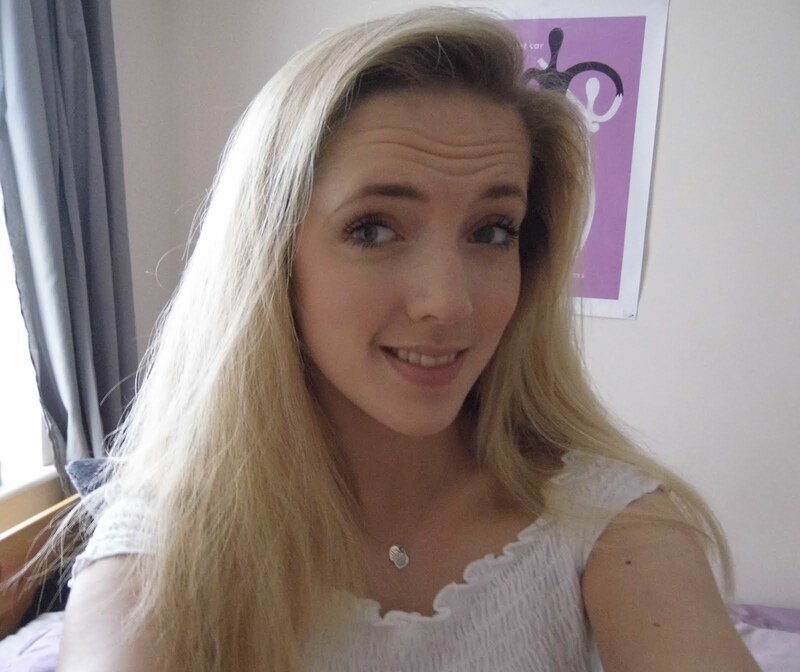 I'm aiming to go cold turkey for my first term - I want to really throw myself into university life! It's nice knowing that home is only a train-ride away if I ever need it. So make the most of Freshers Week. Enjoy meeting new people and exploring a new city - it's only really something you get to do once... or twice if you're like me. If you throw yourself in the deep end, more often then not, you'll find that swimming comes naturally.